Make life easy with this great stand that holds the Roland GS-24 and GX-24 cutter, BN-20 printer/cutter and more. Comes with casters wheels. This accessory is great for owners looking to free up space on their workbench. The stand is easy to assembly and is compatible with all the CAMM-1 24" desktop cutters including PNC-960, CM-24, CX-24, GX-24 and GS-24. 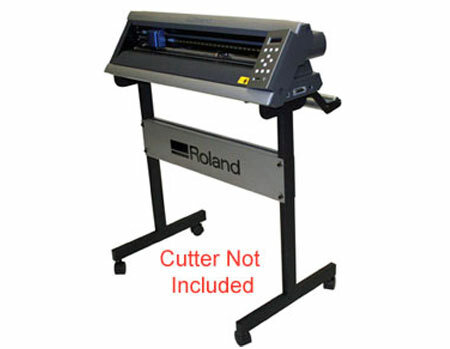 Also compatible with the VersaStudio BN-20 printer/cutter.